Refresh your everyday look wearing this pastel green saree. 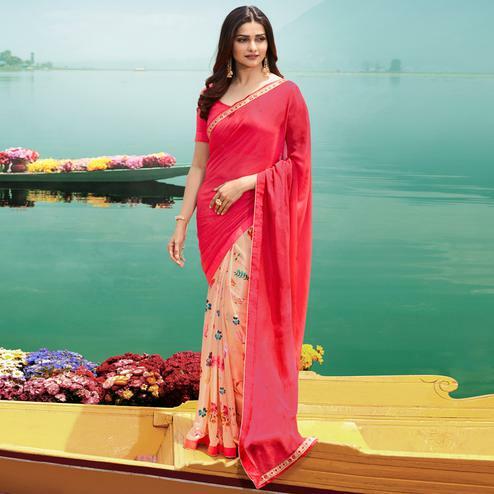 This saree is made from georgette fabric & detailed with digital contrast pink color print that makes it perfect for casual outing & weekend get together. It comes along with matching fabric printed unstitched blouse piece, which can be stitched as per your style & requirement.